The world’s forty largest public OpenSim grids gained 1,605 regions over the past 30 days, and added 10,530 new users. This brings the total region counts on these grids to 12,425, an 15 percent increase over last month’s total of 10,820 regions. The 15 percent monthly growth rate is also the highest we’ve ever recorded. The previous high was set in November of 2009, which saw a 13.74 percent increase. 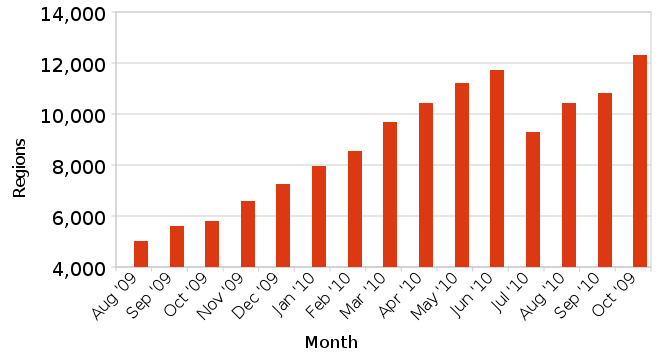 On average, the top 40 OpenSim public grids grew 7 percent each month since we began tracking this data in the summer of 2009. The biggest gainer in land area was OSGrid, which grew 15 percent in one month, from 5,668 regions in mid September to 6,507 today. Part of the attraction was OSGrid’s large community — at over 51,000 registered users, and more than 5,500 active users, OSGrid has as many people as all the other grids combined. In addition, users can connect regions to the grid that they run for free on home computers. Those users who aren’t technically inclined can rent land on OSGrid from third-party providers at prices starting as low as $10 per month per region. OSGrid is currently ten times larger than its nearest competitor, InWorldz, which became OpenSim’s second-largest public grid last month. 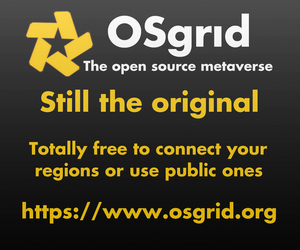 In fact, OSGrid is larger, by land area, than all the other top-40 grids combined. The biggest single gainer in new users was InWorldz, which continued its winning streak from the previous month. With strong word-of-mouth marketing and friendly support, InWorldz has been attracting refugees from Second Life looking for a comfortable and secure social platform. 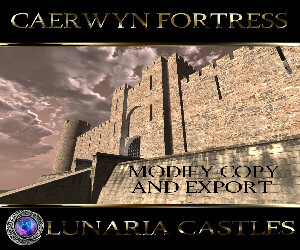 InWorldz has also proved attractive to content creators by following in Second Life’s footsteps and turning off hypergrid teleports to other grids and forbidding exports of full regions (OAR exports). These two measures, while inconvenient to some region owners, also serve to keep content from leaving the grid, and, potentially, being illegally distributed. Other big gainers included ScienceSim, an education and research-focused grid supported by Intel. ScienceSim gained 189 regions. VeeSome, launched two months ago by SpotOn3D, gained 100 regions as part of its “land rush” promotional campaign. TritonGrid, eceCloud, Logicamp, MyOpenGrid and AlphaTowne also gained land. And although InWorldz gained the most new users, OSGrid didn’t fare too badly, with 2,121 new registered users. Other grids that gained more than 100 users this month included NexXtLife, Meta7, ReactionGrid, New World Grid, AlphaTowne, Oasis World, Role Play Worlds, 3rd Rock Grid, JokaydiaGrid, Virtual RP and MyOpenGrid. Meanwhile, Second Life lost 137 regions last month, falling from 31,481 to 31,354, according to data from Grid Survey, and active 30-day users fell from 1,002,345 in mid-September to 988,397 today, according to Linden Lab statistics. With the added stability of the new software and its other features — the more secure hypergrid teleport, support for Second Live Viewer 2 and media-on-a-prim — we’re likely to see an increased move to OpenSim grids. 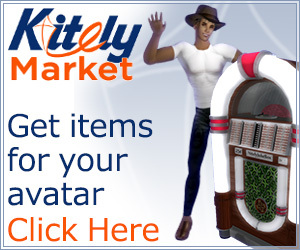 This trend will only be accelerated as the date for the closure of Second Life’s Teen Grid gets closer. Another stimulus for the migration is that Second Life is doubling region prices for educators and non-profits starting in January. As a result, many are already planning — or have even begun — their migrations to OpenSim. As their content moves over, their presence will make OpenSim more attractive and usable for the broader population of users. The forty large social grids we’re tracking are only a small percentage of the grids currently running on the OpenSim platform. For example, OpenSim hosting provider ReactionGrid alone is hosting more than 100 grids for its customers. Thousands more are operated by other hosting providers, non-profits like Media Grid, or run behind the corporate or campus firewall by in-house technology departments. The full table of the 82 public grids that were active this month, with grid addresses, is located here: October OpenSim Grid Statistics.